leaders | What's new with ELP? This month we welcome Holly Williams to the Level II. Holly is a graduate of Ft. Myers TC and the Emerging Leaders College and is currently serving the ladies at Pensacola Women’s Home. Welcome Holly! Looking forward to see how God grows you and your leadership through the Level II. Congratulations Elissa Hollingsworth for moving on to your electives! This month we start a new core course Strategic Planning and Decision-making and our text: Executive Values by Kurt Senske. Senske demonstrates how Christian values support long term organizational success. This original and practical guide provides Christian leaders with a game plan for Christ-centered leadership that stresses the development of a healthy organizational culture, values-based strategic planning, mentoring, and balancing professional and personal life. The staff will learn how to add lasting value to the ministry, employees, students, donors and to society at large. Your first post will be up on the forum by Monday, August 15th. This month we welcome Sharon Varasse as the ELP Rep for the Emerging Leaders College. Sharon is a TC graduate of Women at the Well and a recent graduate of ELC. Welcome Sharon! Thanks for answering the call of God to raise up the next generation of leaders! 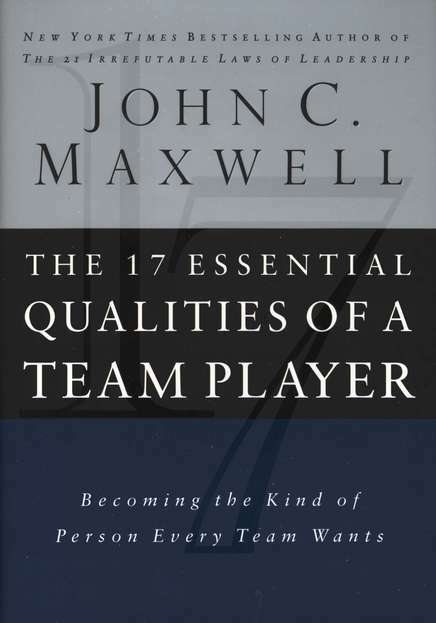 This month we start our new course Team Building and our text: The 17 Essential Qualities of a Team Player by John Maxwell. 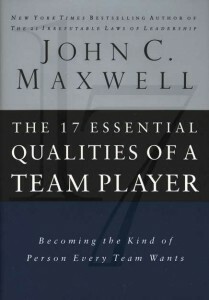 Maxwell presents a clear analysis of the personal characteristics necessary for becoming an effective team player. 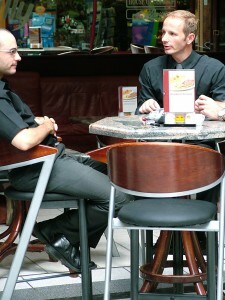 He outlines the success of team players who have been Intentional – making every action count toward a long-term goal. Relational – focused on others. Selfless – willing to take a subordinate role for the sake of the team. 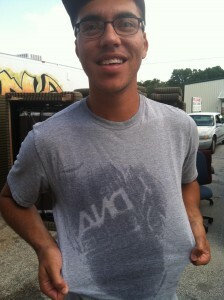 Tenacious – hardworking and optimistic in the face of setbacks. Your emerging student leaders will learn a lot about working with a team from this course. Our course for the Adolescent track is Servant Leadership and our text: Help, I am a Student Leader by Doug Fields. Although this book is set in the context of a youth ministry, our emerging leaders will learn how Jesus led others and figure out how to be more helpful to everyone. They’ll discover the secrets of getting others involved, learn how to listen better and deepen their own faith as a young leader. This month we welcome new Rep’s Mike Spivey, Level I & II graduate from Jacksonville Men’s and Holly Williams Level I and ELC graduate and staff at Pensacola Women’s to the ELP. Thank you for answering the call to raise up the next generation of leaders within Teen Challenge. This month we start our new course Discover Your Gifts and our text: Discover Your God-given Gifts by Don and Katie Fortune. 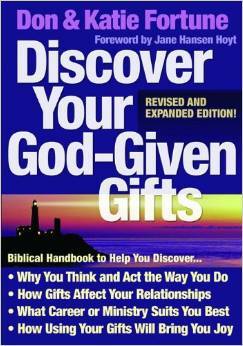 You will discover which of the seven motivational gifts listed in Romans 12:6-8 were given to you by our Heavenly Father at your birth. Why do you enjoy doing some things and do other things simply because they have to be done? These gifts are actually the key to understanding the very motivating forces in your life. You will understand the vast difference between the gifts of the Spirit, the gifts of Christ to the church and your personal, innate gifts you have had from birth. Our course for the Adolescent track is Leading Others and our text: Hab itudes #3 – The Art of Leading Others by Dr. Tim Elmore. 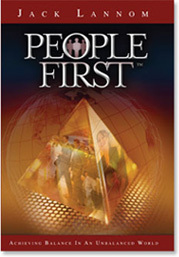 The images Dr. Elmore provides are memorable and powerful in conveying key leadership principles. We want to communicate to our students that in the ELP, leadership starts first with leading yourself well, then with connecting with others and finally, we lead those under our care. This month we welcome John Powell and Kori Briscoe (Hope Outreach, Columbia, SC) to the Level II!. Both leaders are graduates of the Emerging Leaders College and are now serving at our Hope Outreach in SC. Welcome guys! Thank you for answering the call of God on your lives and for being a student of your call. The lessons we can learn in leadership never ends. Looking forward to walk this journey with you. Congratulations Becca Price, Women at the Well, PA for completing the Level II! Congratulations to Mike Spivey, Jacksonville for moving on to your electives! Our next core course is Ethics and Integrity and we’ll look at a wonderful book by Dr. Henry Cloud called Integrity – the courage to meet the demands of reality. Oftentimes we do not connect the dots with how integrity of character really works day to day, and how it affects our real results in the area of life which matter to us most. In this book we will look at six areas of character that will help us to connect the dots. A person with integrity has the ability to pull everything together, to make it all happen no matter how challenging the circumstances. Your first post will be up on the forum Monday, March 14th. You’ll make an initial post and respond to someone’s post. As John Maxwell says “Everything rises and falls on leadership.” This truth can have significant impact on a person; empowering them as person and a leader, and at times overwhelming them. In my life and leadership I have found myself at both ends of that pendulum at one time or another, struggling to navigate my way through challenges associated with life’s success and the hard times that life provides. Recently I have been working with a friend who I not only respect but has been working in the field of consulting and coaching to professionals, leaders and pastors and in doing so discovered a key to success, I am not alone! The question is how do I take advantage of the resource of people God has given me? What does that look like? To do this Scott and I meet weekly at a consistent time and place a focused effort addressing the issues that we are coming together to address. Whether the topics are business or personal this meeting is a safe place that I can be transparent and honest and expect honest feedback and guidance. We work on strategic planning, goal setting and organizational development. 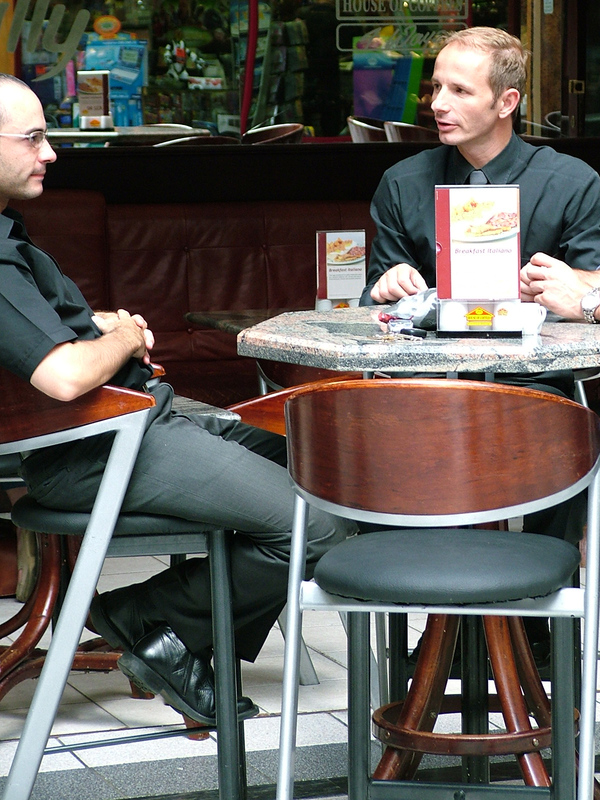 We cover staffing issues, budget concerns, upline struggles as well as failures and success. This is not a class or webinar this is another person helping me process through my real world circumstances. Not a boss or subordinate but a partner who is helping me find the best answer to the needs of my life and business realities. A coach to challenge and encourage me to be and do my absolute best in every situation. A coach is not a player on my team he is a person who is on my side and wants me to win because our lives and values are aligned through intentional choices and commitment to one another. The writer of Proverbs tells us that “Where there is no guidance the people fall, But in abundance of counselors there is victory.”:… Together we win! students to nurture a real love for Christ and a love for others. At ELC, Dustin and Janel creates a culture of relationship and living life with students. The decision to live in community meant they would live a transparent life before the students knowing the students would grow and they themselves would grow. “At the core of raising up sons and daughters is love. We love our students and we like them. They are our spiritual sons and daughters and they know that we love them even when it gets messy. We allow people to see the imperfect person we are, who love and who say “yes” to Jesus, and we teach them to hear the voice of God for themselves and to say “yes.” We want to raise up sons and daughters who are dependent on the Lord not dependent on us. Raising sons and daughters is not setting up policies for every infraction, it’s living life with people. The devil is not scared of dry bones (people following rules); he’s scared when there is life in them (people led by the spirit). They recognized that they were not owners but stewards of the vision. Prayer was all they had. Frank Reynolds said one of his greatest fears was that “we would think we know how to do it.” Because we don’t know how to do it, we are totally dependent on the Holy Spirit. He is the only one who can draw people to Christ. They did not put in human mechanisms to fix a spiritual problem. Jesus is the Program. 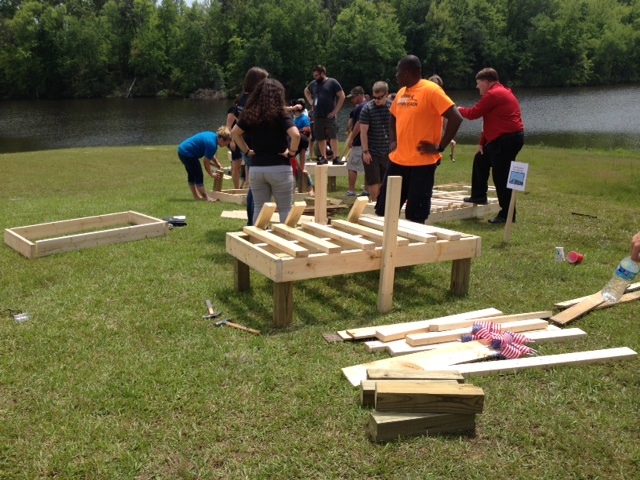 What makes Teen Challenge different from other programs? It is the Jesus Factor. Jesus is the only one who can fill the deep void that our students feel. “We use God’s mighty weapons to capture rebels and bring them back to God and change them into men whose hearts’ desire is obedience to Christ” 2 Cor 10:5 (TLB). Claude Mooneyhan (GTC) and Dustin Nance working with emerging leaders to build a section of the bridge at our Summit. started the first Teen Challenge in New York, Mike and Kay Zello did evangelism on the streets, Frank Reynolds started The Farm in Rehrersburg, Dave Batty developed the first curriculum. They all had skin in the game and they went to work. They were exemplary leaders who modeled servant leadership and raised up sons and daughters. Don’t lose the vision of reaching others. David never lost the vision to go and save those boys. Keep in mind the vision ahead “to put hope within reach of every addict” and work hard at it. Ministry is a heavy load and we as the bridge generation have a responsibility to be strong, to be a people of integrity and to believe God for the miracles. Excerpts from ELP Summit 2015 “The Bridge, Passing on the Culture: Presence & Relationship” by Dustin & Janel Nance. Most everyone who is involved with Teen Challenge knows the story of David Wilkerson from the book, “The Cross and the Switchblade.” When David Wilkerson was just a 26 year old preacher he heard God calling him to sell his TV and spend the last two hours of each day in prayer. To his surprise, the next day he sold the TV for the exact price that he had in mind for it. Then he began to spend his nights in prayer and seeking the Lord. David Wilkerson had no idea that not only would this time in prayer change his life but it would also forever change history. 19 days into this new experiment he had a radical encounter with the Lord when he saw a Life magazine article about a young boy named Michael Farmer who was killed by a gang in New York City. As he looked at the article he heard the Lord speak to his heart that he was supposed to go help those boys. The thought would not go away. It filled his heart with such an unction that the very next night he stood in front of his small country church to try and raise enough money to drive to New York City and help the boys in the gang. He had such an encounter that suddenly he was filled with a boldness and a passion for pursuing the unknown. He now had an unnatural measure of courage because he had a word from God that had possessed him. There are some really amazing observations that I want to make from this story and also I want to talk about how this story can really apply to our lives today. I see that first of all David Wilkerson was willing to step out and sell his TV. I also notice that he was willing to sacrifice and give up an extended period of time each night to be with The Lord. Lastly, I see that he was simply obedient with the word that the Lord gave him. These three things all brought David Wilkerson to a place where he was positioned to receive a word from Heaven that would not only change him but all of history. We are called to change history and impact the world around us. What separates leaders who simply controls and those who change history? Many times God calls us to do things that are really unusual. When we listen to Him this opens up the ability for Him to break into the everyday and ordinary places of our lives. We can become so complacent and comfortable and it is in these times that he challenges our faith and brings us to new places. We must be willing to step out if we want to step into the destiny that God has for us as world-changers. This is demonstrated to us through the story of Peter when he steps out onto the water towards Jesus. That act of faith is what separated him from every other person that was in that boat. All of the men in the boat were disciples of Christ but Peter stood out because he was willing to step out. We see the fruit of this willingness in Acts Chapter two when he is the first to step out and boldly proclaim the Kingdom of Heaven to those in Jerusalem. The church was birthed because of Peter’s willingness to step out. God is calling each of us to do the same! Everything great that we do in life requires that we sacrifice other “good” things for the “greater.” We make sacrifices and choices every single day on the way we spend our time. We may sacrifice time watching a football game to be with our kids or sacrifice our relationships with friends to pursue a deeper relationship with our finance. Sacrifice is natural and is something that we all do each and every day. Every decision we make in life bears fruit in our lives. When we are willing to sacrifice some “good” things in our life for the better things that God is calling us to is when we begin to step into our destiny as world changers. We can see an example of this in the life of John the Baptist. He was set apart as a forerunner of the coming Messiah even while he was still in his mother’s womb. Even though he had angels tell his mother that he was to be especially set apart from birth he still had to make a choice whether or not to comply. He was set apart in a Nazarite type vow and chose not to partake of certain things because God had a special plan and a special purpose for his life. Because of his obedience in this and making such a huge sacrifice he got one of the coolest privileges in all of history… He got to baptize Jesus! God has huge plans for each of us and when we are willing to sacrifice the good for the best then we are able to step into them. Once we have pressed in through sacrifice and stepping out God will eventually give us a word that will not only change us but will also possess us. This is what happened to David Wilkerson. He waited on the Lord until he had been given a word that absolutely possessed him and drove him along the path of his destiny in Christ. After we have received the word it is important that we practice simple obedience and do what God has shown us to do. When we begin to walk in this simple obedience to his word then we will begin to see greater miracles than we ever could have imagined! When Jesus told the man to go wash in the river to receive healing the man practiced simple obedience by going and washing even though it made no sense at all. Because of his simple obedience to Jesus he was healed of blindness as recorded in John 9. This man’s simple obedience led to an astounding miracle! When we walk in simple obedience to the Holy Spirit we will see even greater things in our lives. I believe that God is calling each of us to consider how He might be calling us to step out and where we can make sacrifices. He has even greater things for our life than we could ever even imagine but sometime we are too complacent to find out what these things might be. I feel like He is calling each of us to take some time to consider what He might be calling us to do. I can only wonder what might happen if the body of Christ began to set aside 2 hours each night like David Wilkerson did for those 19 days. The Lord is just waiting for people who are willing to step out, sacrifice and simply obey. 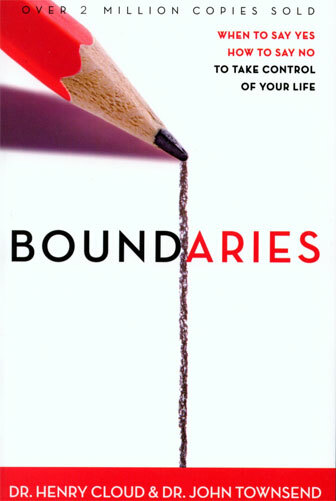 This month’s course is Boundaries and our text: Boundaries by Dr. Henry Cloud. Christians often focus so much on being loving and giving that they forget their own limits and limitations. Are you in control of your life? Do people take advantage of you? Do you have trouble saying no? Boundaries are personal property lines that define who you are and who you are not, and influence all areas of your life. No need to purchase the workbook, there is a study guide at elp.tc under Rep’s Resources. Our course for the Adolescent track is Leading Others and our text: Habitudes III – The Art of Leading Others by Tim Elmore. In this book the emerging leaders will learn to lead those under their care. Images of The Mirror Effect, Rivers and Flood, the Choir Director and other exciting images will help emerging leaders see the value of servant leadership and how we lead others.